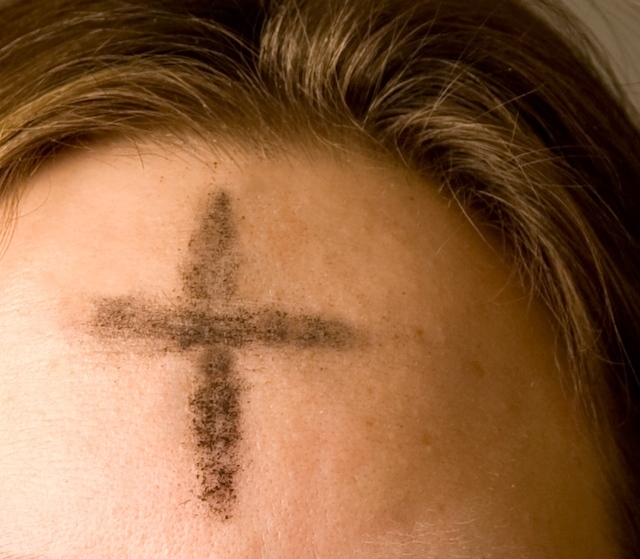 I don’t have any distinct memories from growing up of seeing ashes on anyone’s forehead for Ash Wednesday. 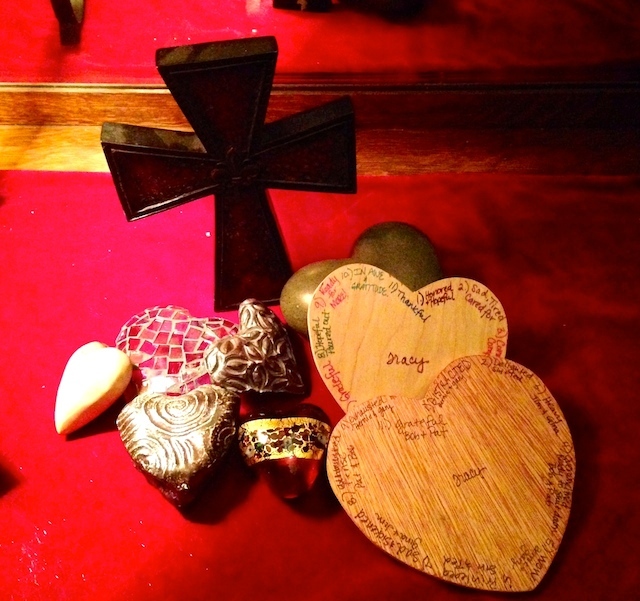 In fact, my first real memory of ashes on Ash Wednesday is in San Antonio the year we moved to Texas. That was almost twenty years ago. I am struck by the absence of religious diversity in my life that left me unaware of observing Lent. This has changed for me in the past few years as I have purposed personally to take notice and incorporate Lent into my own life. This year I have been pondering how my life will be altered for the next six weeks. There are the obvious options, giving up coffee, wine, and chocolate, Facebook etc. All of which would impact my daily routines. I could notice the absence, feel the ache (or jitters) from having given up something in my daily routine and contemplate God in that space. It would be good, and would be consistent with choices I’ve made in previous years. Yet, as I’ve wondered about it there is a knowing in my soul that those are not what are needed this year. Blocking the fullness of life. Oh my, that begged some reflection and I have been sitting with the question of what is blocking the fullness of life for me for days now, anticipating today, the first day of Lent. There is a harsh inner critic that lives in my head and curses my heart. She speaks in words dripping with contempt “should” and “musts” and “be responsible”. She crushes the goodness in me and leaves me feeling shut down and ashamed of myself. Lent is not about penance. Lent is about becoming, doing and changing whatever it is that is blocking the fullness of life in us right now. This morning my daily devotional started out with the first passage of scripture for Lent. Tear open your heart, Tracy, bring it to me, come home…I have grace, compassion and kindness waiting for you. The number of times I have used the words “my heart feels torn” over the past several months washed over me, much like waves. My torn heart, battered and worn down by the evil whisperings. My heart that I’ve held tightly, quietly, working to figure things out on my own. Bring it to Him, believing that He is gracious, compassionate and filled with kindness for me. As I held the words close I could feel the warmth, the welcoming, the intimacy they invite me to. Walk with Jesus for the next six weeks, listening to His voice, soaking in it, undistracted. Give up the inner critic, accepting His life in exchange for the death I have been entertaining. I don’t know exactly how it will look, uninviting the harsh voice of my inner critic and the evil that comes with her. I am remembering the ranch where we held the first Red Tent Living weekend in Texas. I stood in the middle of the great room and spoke about this idea, asking the ladies gathered to consider showing their uninvited guests out of the room and onto the porch or into the hill country nearby or perhaps even taking them all the way to the cross to be left with Jesus. I know for me this will be daily, and sometimes hourly over the coming weeks. There will be vulnerability and the need to stay very present and embodied, honestly holding the acute need for my torn heart to remain in the hands of the Father. And so, it begins for me, Lent 2014, a time of letting life in, rebuilding. Fasting, weeping and mourning, not from a place of penance, but from a place of feeling the ache, the loss of goodness, while simultaneously accepting it again as it’s offered from the gracious heart of God to my torn heart. Lent is not about penance – Lent is about becoming…..it is about looking at what is blocking me from the fullness of life right now. I will sit with these words….. 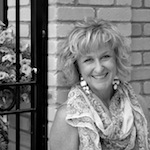 They are words to sit with indeed….thanks for joining me in it Elaine, you are always good company for my heart. Welcome Claudia, I am glad to have you with me in the pondering! I love the idea of you living from your true and so beautiful heart, honey. Love you. I love what you wrote and weaving music into your Lenten journey this year. I had not even considered Lent until I read your post, Traci. Two words from Joan Chittister’s quote jumped off the page, “…right now”. I am invited to stop, be present in the moment, and pay attention to my heart. Thank you friend. I have so loved Joan’s words and where they have invited me to go. Glad you are joining the Lent journey for your own heart.